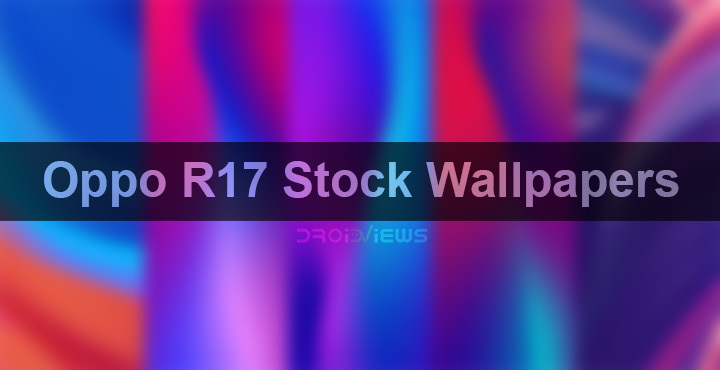 The Oppo R17 stock wallpapers are now available for download. 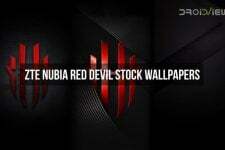 Here are 5 new stock wallpapers in Full HD+ quality with have a resolution of 1080 x 2340 pixels. Oppo just launched a new device called Oppo R17 and it comes with an in-display fingerprint sensor and AI-supported cameras. Dual rear cameras, beautiful design, almost bezel-less with a tiny notch at the top, the Oppo R17 ticks quite a few boxes but it still looks pretty familiar. We’ve seen a number of similar devices from several Chinese OEMs already.  But at least the Oppo R17 Stock Wallpapers are refreshing. We know because we have them and you can download them right now. In terms of design, the Oppo R17 is nothing you’ve never seen before. An in-display fingerprint sensor has already been done by Vivo. 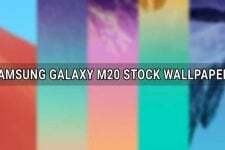 A multi-colored gradient back has already been seen on the Huawei P20 and some other devices from the company. And the best notch on the market that the R17 has, we’ve already been seen on other Oppo phones. That said, the Oppo R17 is a gorgeous looking device even though Oppo has only cherry-picked already existing design features from the market. The three-gradient metallic-blue rear of the R17 is gorgeous and eye-catching. It’s definitely not a boring champagne-gold phone. The R17 packs in a Qualcomm Snapdragon 670 octa-core processor with 8GB RAM, 128GB onboard storage. On the front is a 6.4-inch full-HD+ display with a resolution of 1080×2340 pixels. The fingerprint sensor is baked under the display whereas a 25-megapixel f/2.0 selfie shooter is placed inside the tiny water-drop notch at the top. The back of the device houses a dual camera setup with a 16-megapixel primary sensor and a 55-megapixel secondary sensor. A 3500 mAh battery provides the necessary juice to all thee components. 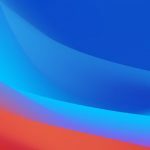 Oppo’s Color OS skin runs on top of Android 8.1 Oreo here. 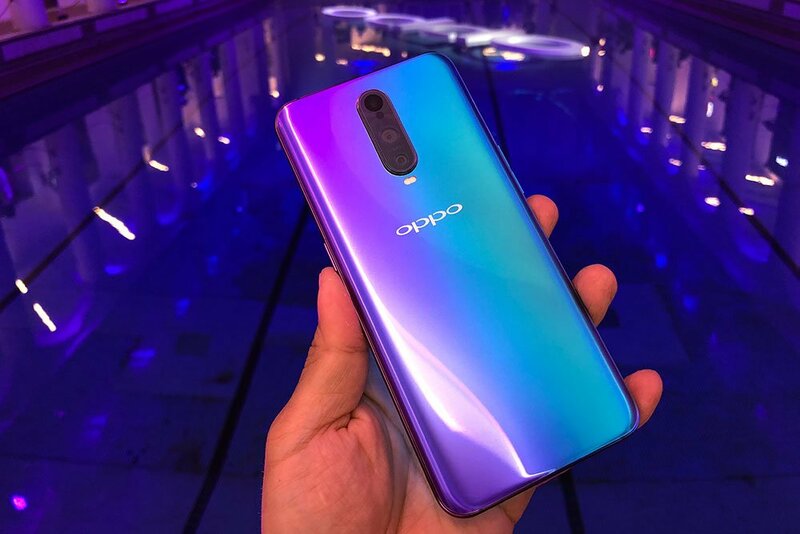 Along with the R17 the company also announced the Oppo R17 Pro which also has an in-display fingerprint sensor like the R17. Although it houses a triple rear camera setup compared to the two on the R17’s back. The primary shooter is a 12MP sensor with an adjustable aperture like that of the Galaxy S9 and the Galaxy Note 9. It can switch between f1.5 and f2.4 for better low-light shots. Inside it is powered by a Qualcomm Snapdragon 710 processor with 8GB RAM and 128GB onboard storage. 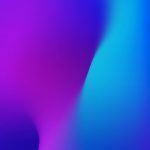 It has the same 6.4-inch, full-HD+ AMOLED display (1080×2340) as the R17 and has the same notch and the same selfie camera. It’s protected by Corning’s latest Gorilla Glass 6 and according to Oppo, the screen-to-body ratio stands at the impressive 91.5%. It also supports SuperVOOC fast charging. 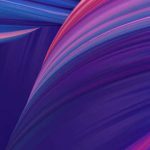 The Oppo R17 brings a pack of 5 new stock wallpapers that look stunning. 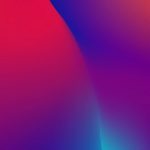 The wallpapers have a resolution of 1080×2340 pixels, just like the display of the Oppo R17. However, the images shown below have been compressed and resized to reduce page loading times. You can get the full-sized wallpapers from the link provided below.